After being pretty loyal to the L'Oreal False Lash Telescopic mascara for a while, then switching to Benefit Roller Lash, I thought I'd give this a go as I think the drugstore always has fantastic mascaras and I felt like trying something new. And after using it for a good 3/4 weeks now, I really love it. The brush is a bit different to other mascaras I've been using recently, as it's thicker and chunkier, so I do have to be careful not to get it on my lid when applying it. I don't have a specific 'before and after' picture but you can see me wearing it in this Instagram photo. It really helps to lengthen and thicken the lashes and it's super black which is great for me as I have quite fair lashes. 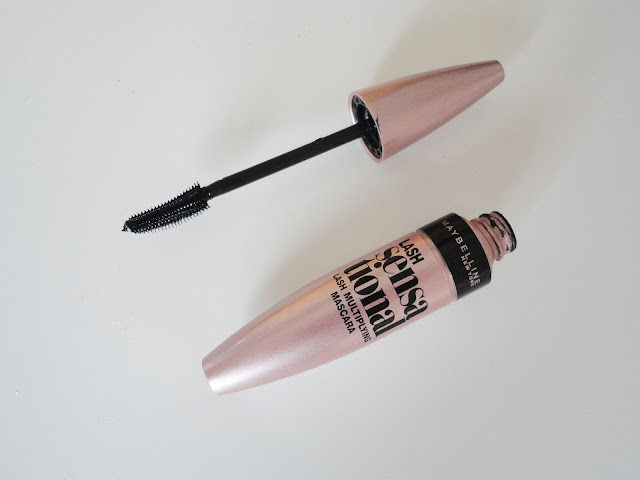 I think this mascara will be even better when it's dried out a bit as I did find it could look a bit clumpy sometimes - but I often find that with brand new mascaras so I think this won't be a problem after a while. Maybelline mascaras have never let me down and this is another favourite to add to the list! Have you tried it? Let me know your favourite mascaras in the comments.